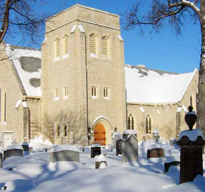 The St. John’s Cathedral site is hosted and powered by WordPress.com. WordPress is distributed as free, open source software and in that same spirit we hope you can use the following information on this page to quickly build your own Church website using WordPress. To keep things simple, comments have also been turned off. If you’re interested in learning how to use WordPress we recommend reading the WordPress.com 10-step walk-through guide. If you’re using the Toolbox theme, either on WordPress.com or with a self-hosted WordPress installation, you can create a design similar to ours using the following CSS styles (click show source below). They’re yours to use, adapt, and share, under the terms of the GNU General Public License (version 2). Use it to make something beautiful, good, and true.